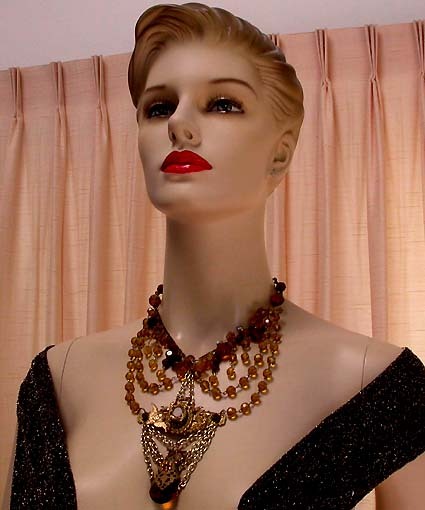 ANNIE SHERMAN DESIGNER JEWELRY GOES HOLLYWOOD! 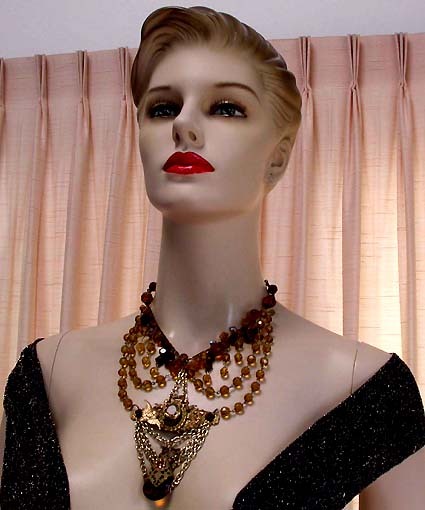 CELEBRITY HOLLYWOOD JEWELRY FOR YOU AND MOVIE STARS! 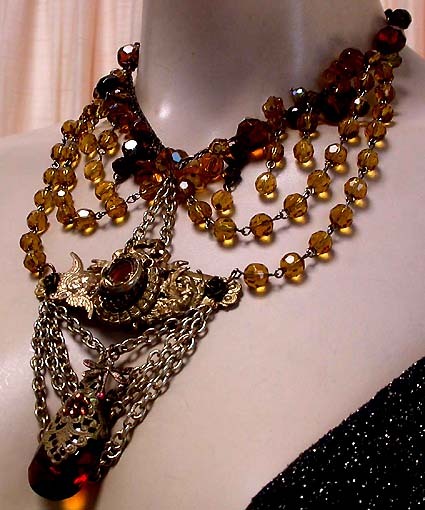 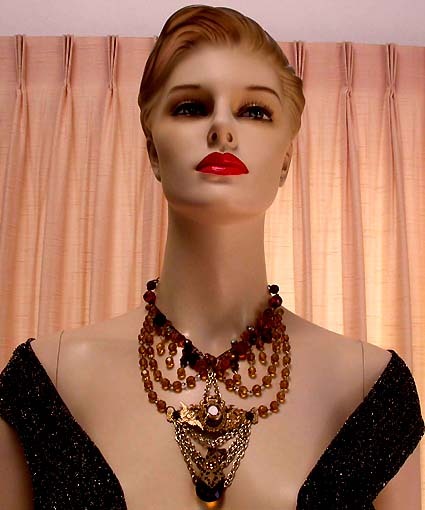 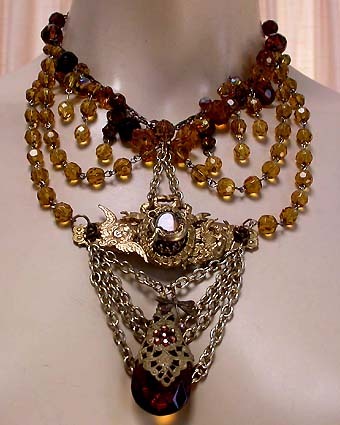 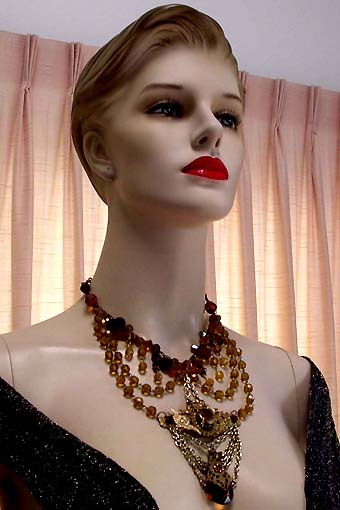 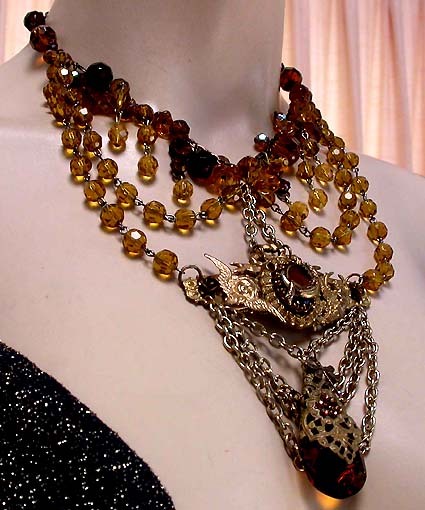 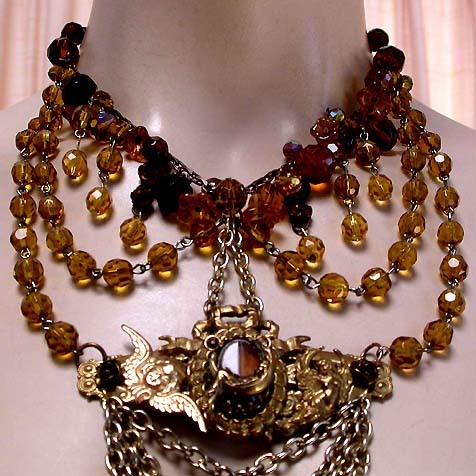 Signed Annie Sherman Victorian Style Royal Court Amber Glass Crystal Festoon Necklace For Weddings, Proms, Pageants And Parties!